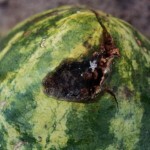 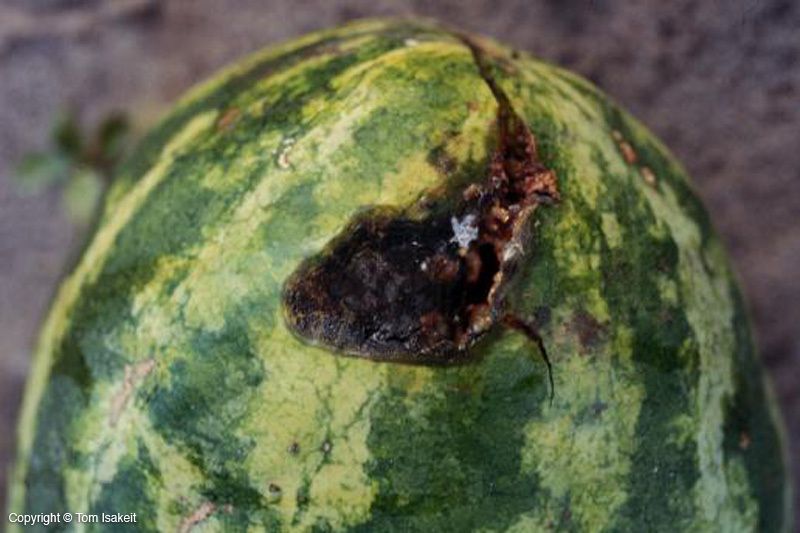 The fungus produces sunken spots on the rind of fruit, that are often black because of the production of spores (Image 1). 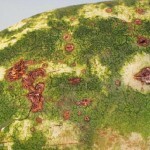 Symptoms may not be visible at harvest, or they might be slight (Image 2), but decay may develop further in transit or at the market. 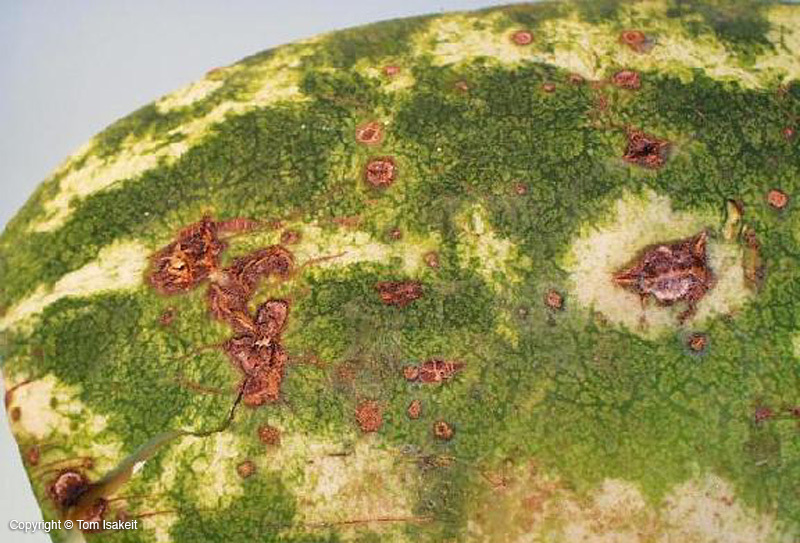 Small anthracnose spots can be confused with pimples disease.